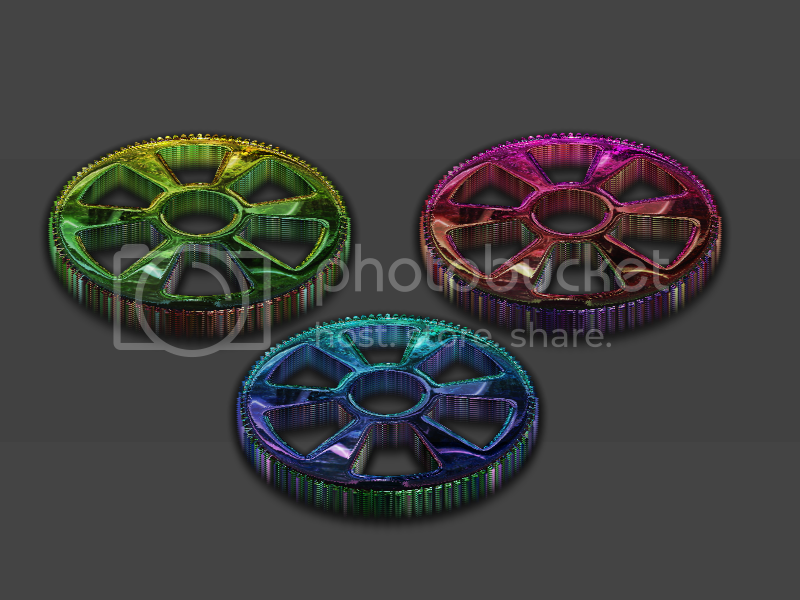 An easy way to render a wide variety of gear and wheel shapes. Works well with 'clipwarp' - simply use 'overblur' on the gear object created and copy a metallic image to the clipboard then run clipwarp. Two examples below (with rotate/zoom & Pyro's 'Trail' added too). This looks fantastic. You beat me to it; I was going to make a gear plugin . I guess I'll have to settle with other shapes. Nice Red, very nice, ran out of reps, catch you on the flip-side. Drew,Goonfella, AnthonyS, BBQ & TR - Thanks all for the positive feedback. Anthony - there a still thousands of ideas for plugins to invent - and there is nothing wrong with providing alternative versions of older plugins either. Plus there are new features in Pdn4 for authors to explore too - eg. clipboard alpha and AA'd selections, so don't worry about ideas for new plugins. Often, writing one leads to ideas for another three! TR - I thought this would be an easy one to write - I was wrong! - the G.D.I+ can be infuriating sometimes! (+Happy to edit the thread text when a searchable format for plugin index is agreed too). Thanks for commenting. I forgot to say - I'd love to see what images you can make using it and please post them here! Did this while family's getting ready to go to dinner. Thank you very much John. Very useful plugin. 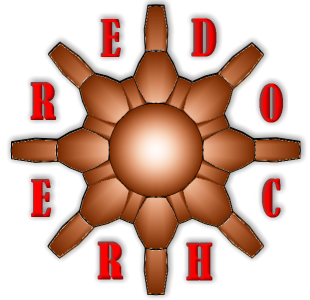 Red ochre! I really appreciate this and all your hard work. Thanks so much for sharing. OK - I played and had so much fun with this. Wish I'd had the Plugin last week too . TR - Thanks for posting the image - hope you're enjoying your holiday! Drew - great image - I like the colour variations - thanks for posting it. Pixey - Ironing? - learn to love the creases, life's too short! - thanks for commenting. xod - excellent! - thank you, very clever use of the plugin. Seerose - thank you for posting the image, good to see you exploring the different options. 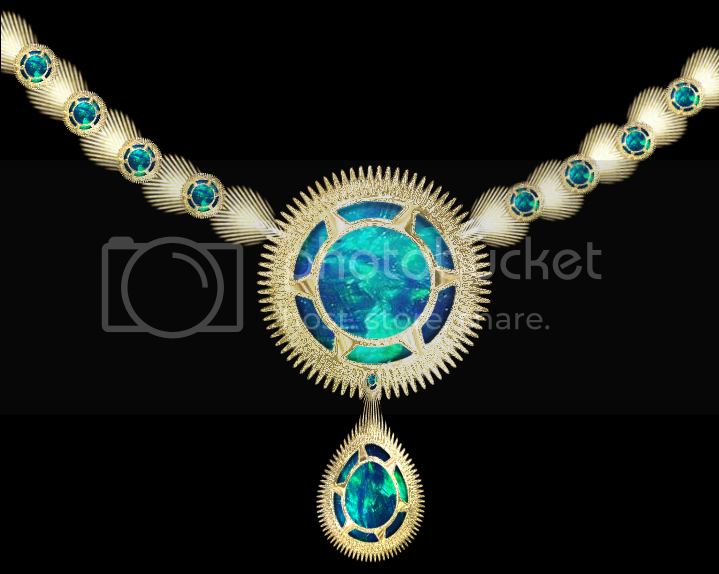 Pixey - you just posted another excellent image - love it! - many thanks. Yes I thought the round spoke hole option could have helped on your film reel tut' (set the tooth height to zero). Thanks Red, back home today. 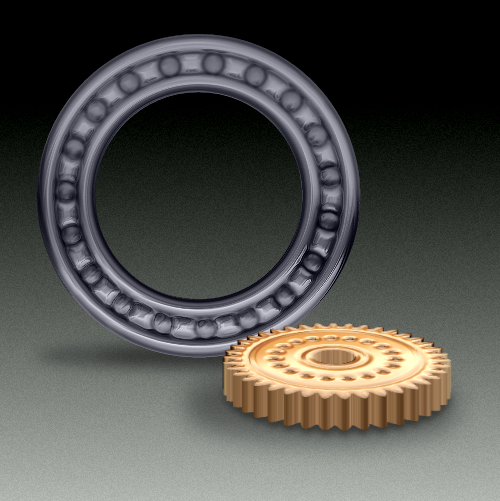 During development of the path tools I did an experimental gears on path plugin. But for sure this is much more powerful. Hope we can define at some point an interface so that a plugin can be called from another to render an effect on a path. What's the reason that this is in 'Iterative Lines' and not just in 'Render'? IMHO. I think render is too generic, Iterative is a good fit for parametric line drawings plugins not based on pseudo-ranomness (but may employ randomness). It sounds very elegant also. Much more so than parametric geometry or some other head scratcher. Thanks for the compliment TR! Midora - Yes the Submenu name should make it easier to find the plugin. However my Render menu is full, so I would expect regular users to also have the problem of finding any effect in that section. I created the 'Iterative lines' Submenu name mainly for 'Slinky', 'StringAndPin' and 'Helix' as they belong together and any user using one would naturally want to try the others. I then added 'Dryad' as it is closely related to the other three and invited TR to add his 'TreeMaker' plugin too. Now with 'Gears' added there are enough effects to justify its creation. If they had all been in Render users would spend all day scrolling up and down to find them! 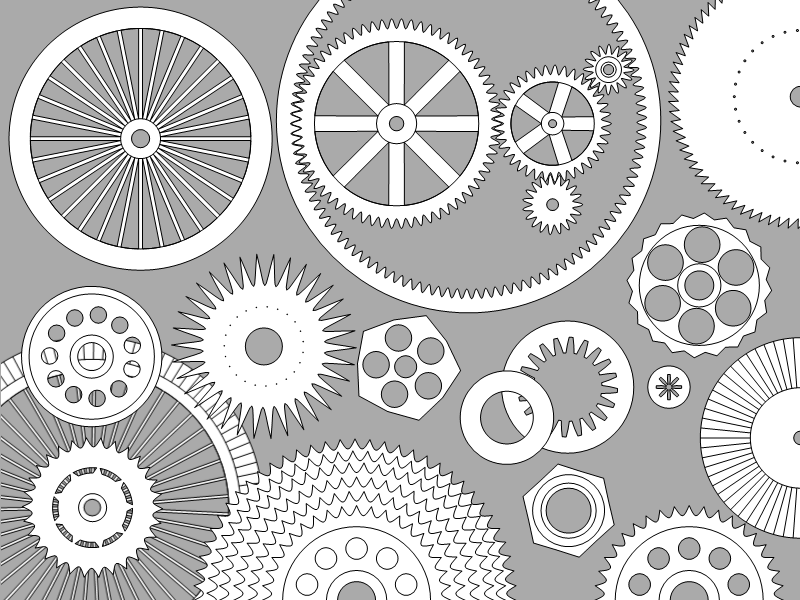 Gears uses two loops - one for teeth and one for spoke-holes, so it does 'iterate'. My plugins 'Squirkle','Highlight' and 'Gradients Galore' do not iterate in the same way and belong in Render. I agree with TR about Render being too broad a category but I do think seriously before creating a new SubMenuName. It is easy for the Effect menu to become overcrowded too. If you have plans to further develop your Path tools/Vector plugin I would be glad to share my source code (bear in mind my code is not as elegant yours though! ) - P.M. me and I'll upload to dropbox. What I started with and ended up with in one picture. 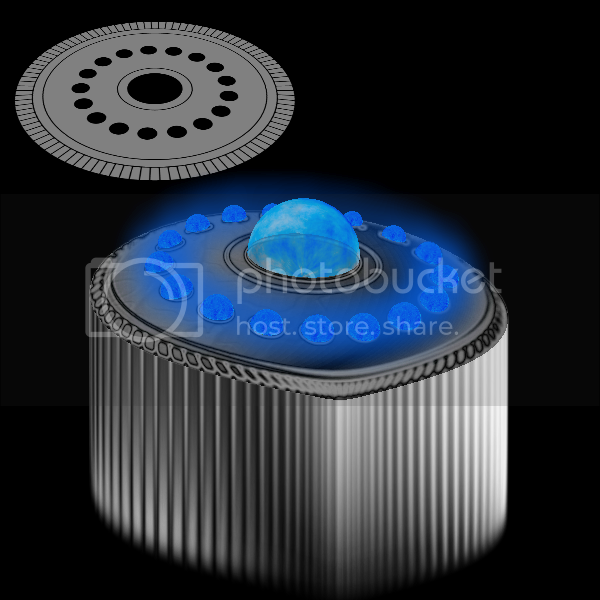 Here is what I am working on. I thought the perfect subject for this plugin would be a geared clock. 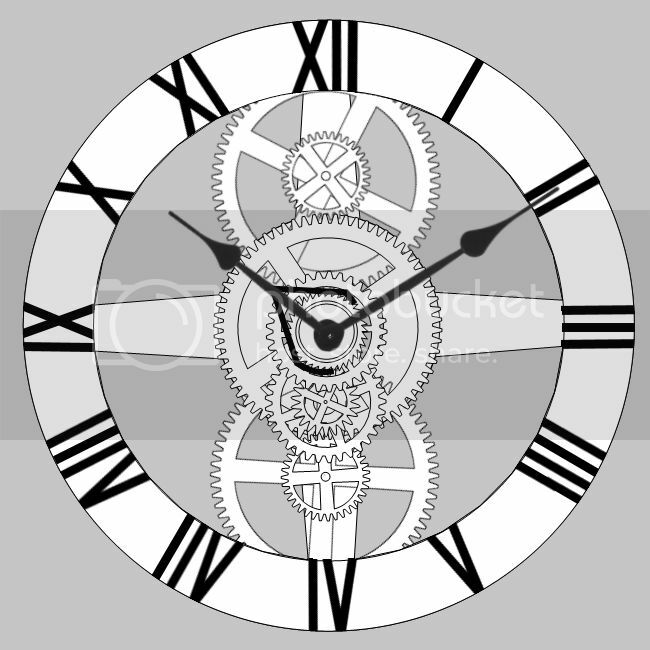 I used an image to get a rough idea of where to put them and have sorted out where each gear is going and the basic design of the clock. 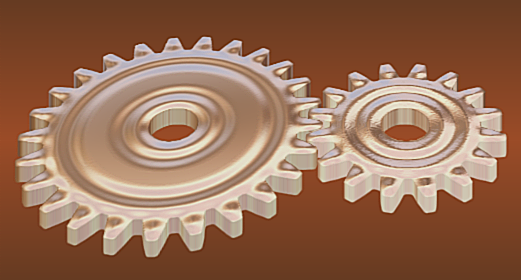 I am now in the (slow) process of texturing all the cogs,gears etc. I have called it Clockworks.